Welcome to Sun Pack Engineering Works the leading Water Packing Machine Manufacturers in Hyderabad. The increasing demand of packaged drinking water has given boost to the RO industry where many individuals have set up the water plants. Most of the Water Plants are providing the water in water pouches. Sun Pack Engineering Works the Water Packing Machine Manufacturers in Hyderabad is specialised in making these water packing machines using the modern technology. Sun Pack Engineering Works the Water Packing Machine Manufacturers in Hyderabad is making machines and customizing the machines as per the the customers water packing requirements. The Water Packing Machines are available in customizable packing requirements to pack huge quanitities with best sealing and leakproof packing. 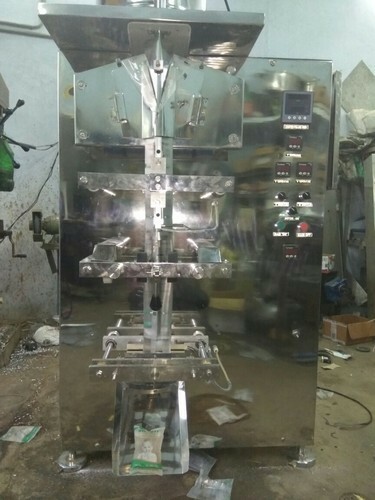 Sun Pack Engineering Works the Water Packing Machine Manufacturers in Hyderabad is making machines with features like Pouch length setting, Adjustable Control features & Operating Speeds.